Christmas wreaths come in all different colours and sizes. 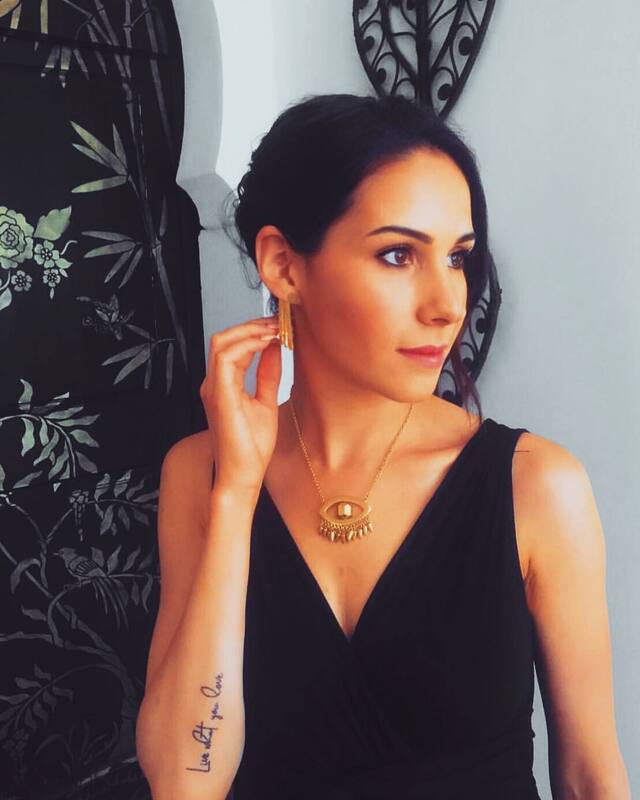 They vary from traditional to glamorous, and small details can make all the difference. I have been challenged by Harveys Furniture to create a jewelled festive decoration and below is my take on a jewelled Christmas wreath. 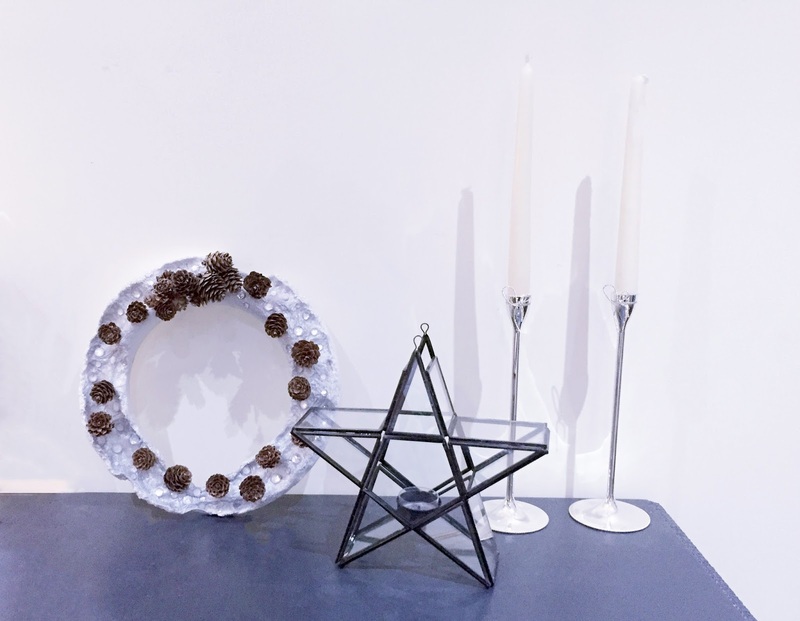 Jewelled wreaths are particularly captivating and can stylishly modernise your home. Wreaths are a very versatile Christmas decoration as they can be added to your Christmas styled vignette or placed in any room to add a touch of Christmas charm. Christmas LED lights can also be placed around the wreath to add even more sparkle. 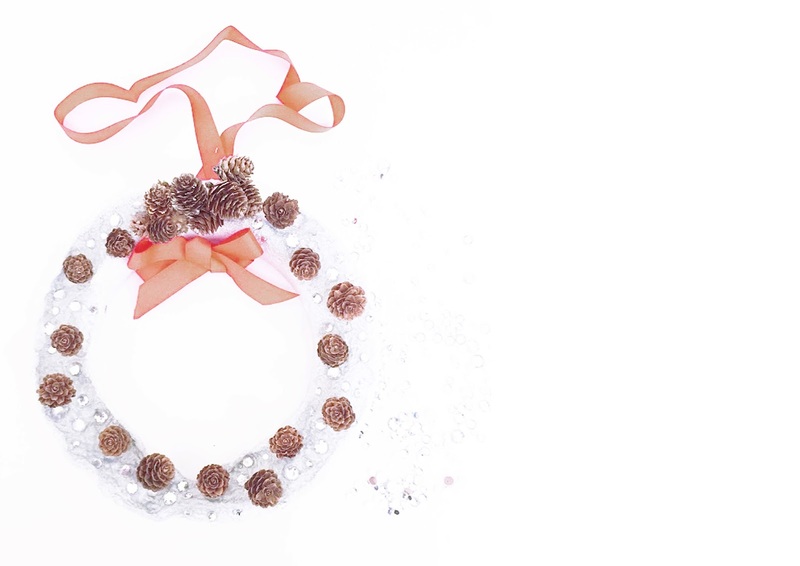 Bring some glamour to your Christmas decorations with this simple tutorial to create your own sparkling Christmas Wreath. 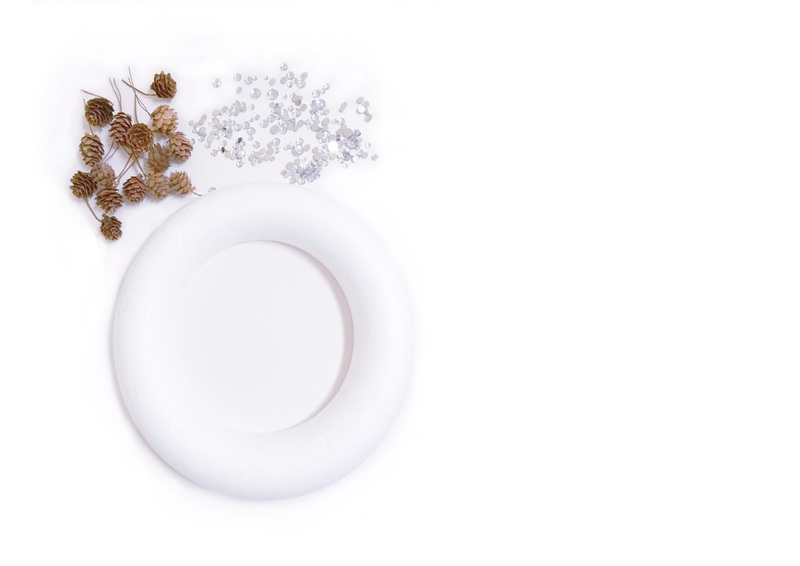 Step 1 – Choose the size of your polystyrene wreath. It can be as big or as small as you like. If you’re opting for a larger wreath more accessories such as pine cones and acrylic stones will be needed. 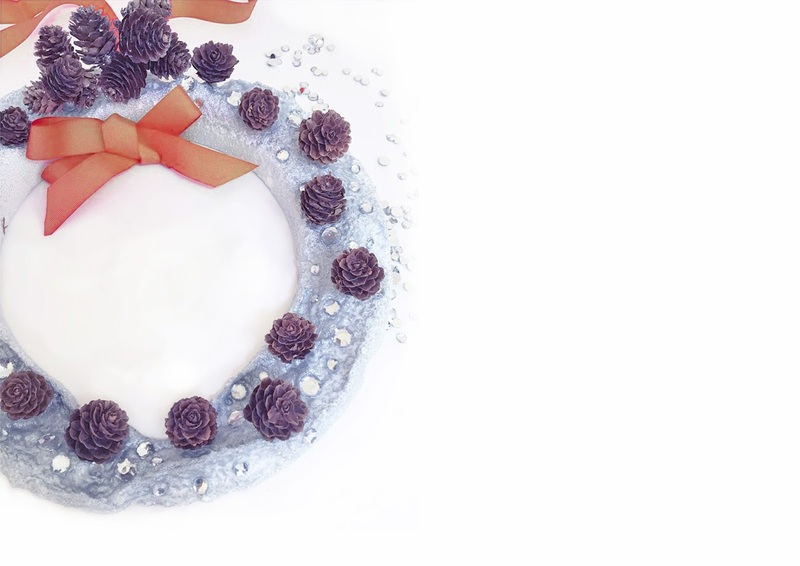 Step 2 – Spray the polystyrene wreath with silver glitter spray and leave to dry. Step 3 – Once the wreath is dry get four pine cones and stick them in equal distance onto the wreath. Fill the rest of the wreath with the rest of the pine cones. 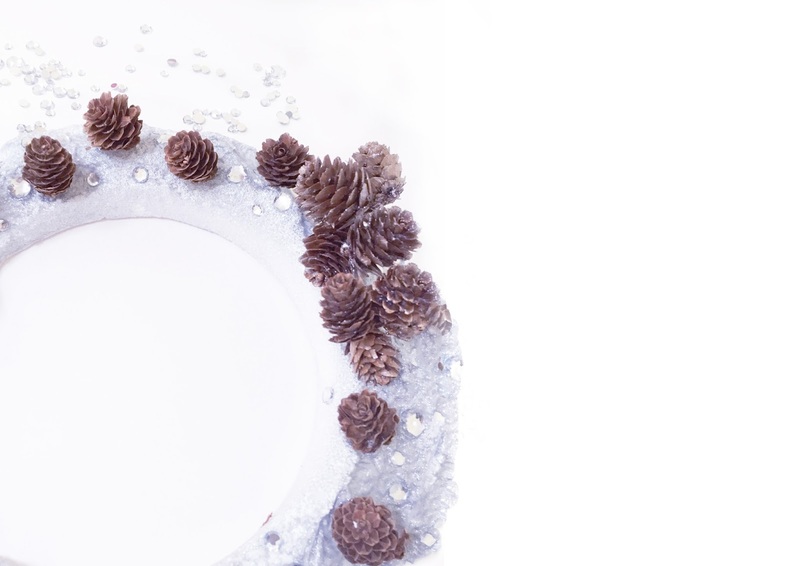 Step 4 – Begin sticking the crystal acrylic gems onto the wreath in between the pine cones using PVA glue. Step 5 – Once the gems are dry get a ribbon of choice and make a bow. Using PVA glue, stick the ribbon onto the top of the wreath as shown. For more creative Christmas DIY ideas check out the Harveys Furniture Blog.